Great fishing on or above then dam. Cooke Hydroelectric Dam was the first of six dams constructed on the Au Sable River. It was placed on the National Register of Historic Places in 1996. It operates much as it did during its first year of operation in 1912, and the overall appearance of the plant is relatively unchanged. 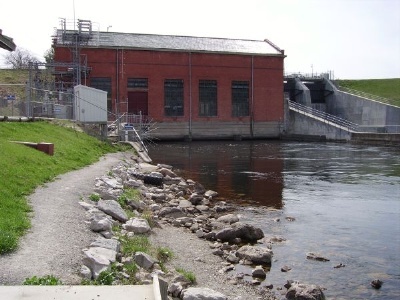 Cooke Dam is one of four hydroelectric dams owned by Consumers Energy adjacent to River Road. This public fishing pier on Cooke Pond provides an easily accessible area to anyone wishing to dangle a hook in the water. It's also an inviting place to sit and enjoy the water or view the operation of Cooke Dam. Boat access to Cooke Pond is also available.